There are strong arguments on both sides of the debate: Those in favor of an increase argue that it will enable workers to take home more money, lift themselves out of poverty, and, with more disposable income in-hand, provide a boost to the economy. Those opposed believe that increasing the minimum wage will hinder job growth, force employers to cut back on hiring and drag the overall economy down by cutting into the bottom line of employers. Research data on the effects of minimum wage increases lends credence to both these theories. 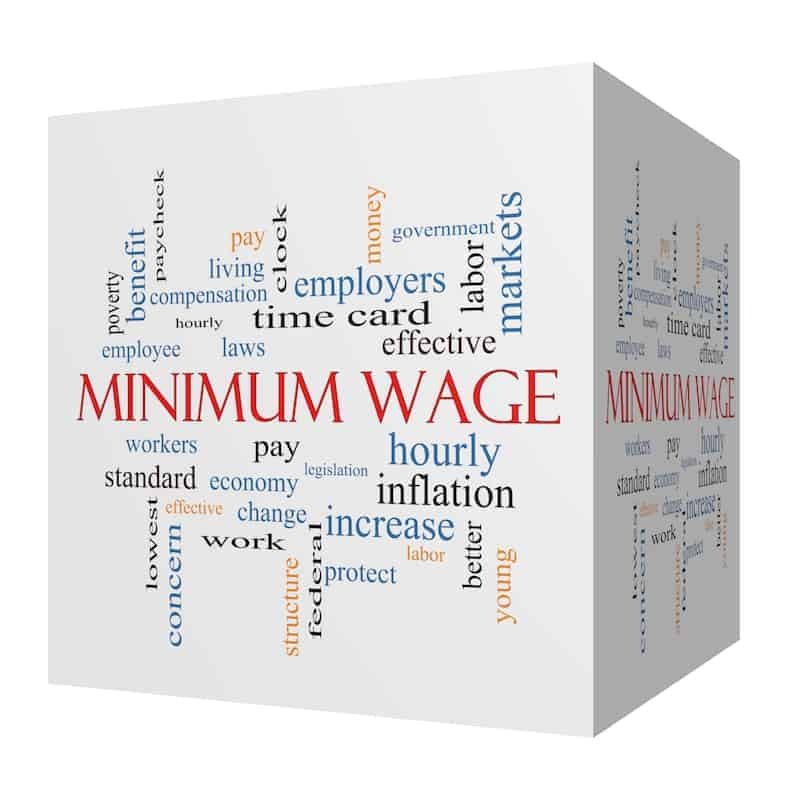 A study by the U.S. Census Bureau found that minimum wage increases helped lower-income workers without harming employment. Similarly, another recent study by the well-regarded National Bureau of Economic Research also found that hiking the minimum wage did not have harmful effects on overall employment. It did, however, reduce the probability that an employer would provide health insurance coverage to its employees – potentially offsetting any wage increases should the employee buy coverage on the open market. Recent anecdotal evidence has also borne this out as e-commerce giant Amazon recently increased the minimum wage it pays to all of its U.S. employees to $15 per hour; however, it also slashed monthly bonuses and stock grants concurrently. While opinion is divided on the issue, the fact remains that wages must increase at some level alongside inflation, otherwise individuals will not be able to afford basic goods and services. A number of states and lawmakers have, naturally, taken notice of this need and responded accordingly – just this month the minimum wage increased in 18 states. In many of these cases, these wages will continue to rise due to the recent popularity of legislation which gradually increases the minimum wage over a period of years. On the other hand, 15 states have their minimum wage set at or below the federal minimum wage of $7.25 per hour, while an additional six states have no minimum wage at all. Despite nearly half the states unwilling to act on the issue, minimum wage increases are popular among the general population, according to polls. Just last year, voters in deep-red Arkansas and Missouri both approved minimum wage increases during the 2018 elections, raising a haunting specter that is becoming a common trend in deep-red holdouts. Voters, ironically, defying the will of legislators on issues such as marijuana legalization, Medicaid expansion and the minimum wage has become commonplace in the last few years, and in some cases has caught legislators flat-footed when their constituents approve a policy that would have otherwise had no chance in the state capitol. In cases where the threat of a referendum looms, lawmakers would be wise to pass similar legislation on their own terms, rather than a less palatable alternative of being approved by voters. With the “Fight for 15” continuing to wage on, and the recent minimum wage approvals in Arkansas and Missouri (and Arizona, Colorado, Maine and Washington before that), the fight over minimum wage increases is expected to rage on this legislative session. The issue will be of particular importance in the three states where the issue has already qualified for the ballot in 2020: Florida, Nevada and North Dakota.